Model number "819, ETA-10, 68571000 "
3/4 x 50' (D x L) ft. 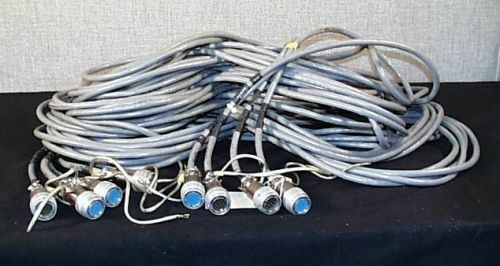 This item comprises two pairs of cables, bundled together, terminating in 40-pin TRW/Cannon (milspec) connectors. These are data cables for the 819 Disk Storage Unit and ran between the disk drive and the disk controller (possibly a NAD). Check for gnaw marks on cable; there may be minimal mouse damage to insultaion in parts.